RainbowKids Editor's Note: Many terms have been used (re-homing, disrupted-adoption) to describe the very difficult situation of a child who has been adopted and can no longer continue to live with their adoptive family. This article, and any article on the RainbowKids website concerning this topic, focuses on LEGAL re-adoption, in which an adoptive family has received counseling services and is working with a legal Adoption Service Provider to acheive the child's best interest. The purpose of this article is to help prospective families who may be considering the adoption of a child who must transition to a new family, decide if Legal Re-adoption might be a fit for their family. It is imperative that experienced families only, who are well preparred and have the necessary emotional, therapeutic, and educational resources and skills, put themselves forward as prospective families. Children who have experienced trauma and loss need the flexibility and support of special families. Why Isn't There More Information About Legal Re-Adoption? Agencies and advocating websites are hesitant to discuss Legal RE-adoption due to all the potential for negative press and controversy. Agencies and advocates fear that our international partners will be uncomfortable with any negative adoption press especially negative press and that might potentially result in less children getting adopted or re-adopted. However we still need to continue our refinement of best practices for legal re-adoption and we need to advocate for children and recruit qualified families for legal re-adoption. This article purpose is to help families decide if readoption might be for them. After all other attempts to help the family and child stay together have been exhausted, there are a small percentage of children that need re-adoption. Some agencies are committed to finding these children new homes. Some agencies only help the children they have arranged the adoption for, other agencies will work with all families in need and some do not arrange any re-adoptions. Why is Legal readoption needed? Long-term rejection of the current adoptive family, or one of the adoptive parents. Even with counseling and intervention, sometimes it is the CHILD or young teen that consistently requests a new placement. An undisclosed issue by the orphanage has resulted in the child being placed with a family without the experience to parent a child struggling in a specific way. There are many reasons for re-adoption but the solution often includes a new parent(s). These are typical initial questions our agency asks families interested in re-adoption. Have you never disrupted an adoption? Have you adopted an older child before? Have you adopted internationally before? Have you been a Foster Parent? Have you gone through challenges with your other adoptions? What were your biggest challenges please describe? Do any of your other adopted children have emotional, psychological or behavioral or medical needs ? Are any of these similar to the child you are interested in readopting? Have you sought outside assistance including counseling to get through rough spots with your adopted child? Do you have any experience parenting a child with RAD, physical, emotional or sexual abuse, ADHD, post traumatic stress disorder, or the effects of institutional neglect, post institutional trauma? Do you have health insurance to cover this child? Do you have a current home study, an older home study you can get updated or are you willing to get a home study quickly? Does this readoption make sense for the whole family at this time? Can we provide one on one attention especially through the transition period? Are you able to commit to this child and help them no matter what arises - do you have the experience and resources to fulfill that commitment? Does the agency charge you a listing fee just to be on their list to contact you for any possible readoptions? Some agencies do not - some do. If there is a listing fee how often do you have to pay this fee? What if they send you no profiles of children - do you get a reimbursement of your listing fee? Will you be contacted for every child in need of readoption each year or just subset? Does the agency require a full application fee even if you are not yet selected as a readoption family? Some agencies require an application fee ONLY if you are the selected as the second family. TRAVEL: Accommodations and travel to the child's US state of residence. Your family is usually responsible for travel and your accommodations to the child’s home in the US as well as the child’s travel back to your home. Some agencies can require a 3 days to 21 day transition period so you will need to cover you travel and accommodations as well. Legal fees for your attorney for a private domestic adoption. 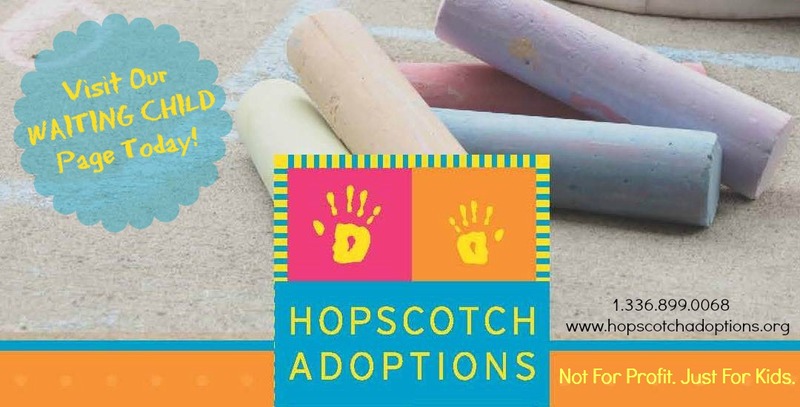 Don't forget to check with your tax consultant to find out if these adoption expenses will be reimbursed with the Federal Adoption Tax Credit. Part 3: What Information Will You Receive on the Child? Will the agency provide redacted child's information in a file for you to review? Will the file include a profile of written answers to questions by the frst parents, the original adoption file, birth certificates, passports, medical information, dental records, psychological reports, IEP, report cards, photos, video and post placement reports? Will the agency provide an introductory letter of the child to you? Will the agency provide a letter explaining the legal guidelines and responsibilities for the re-adopting family? Will the agency provide a letter explaining the legal guidelines and responsibilities of the first family and what documents they must provide to you? Will you be provided with a timeline of all the major moves and events in the childs life including any respite situations? Will you be able to email questions via the agency anonymously to the first family before deciding? Will you be able to send the child's file for review to your health care provider and adoption specialists? Will you have access to a compilation of all the questions asked and answered from all the other interested families? Will the agency keep you updated on other interested families and back-up families' status and interest level? Will the agency keep sending you updated information? Who Decides if Your Family is Appropriate for the Child? Does the current family have any consideration in choosing a new family? Does the agency screen the prospective families and then recommend only one family to the first family or are a few families recommended for the family to approve? If the child is older when will they be involved if at all in the decision? Will you know if the first family is open to all types of families? Will you be informed as to post placement reports required by the agency and/or international or national governments ? Will the family accept your gender, marital status, religion, race, ethnicity, and sexual orientation? Will an international government's requirements for parents be a factor in this readoption? Will post placement reports be required? Once a commitment is made to re-adopt the child - do you have direct contact with the first family without agency involvement? Does the agency allow contact with the child before or only after a commitment is made to readopt? In order to protect this vulnerable child from further disappointment some agencies only allow contact after a commitment is made. Once you have been selected, the Transition Plan will need to be negotiated/determined. If possible, a letter, or video to the child to introduce yourselves should be sent. This limited contact, even if done only a few days before meeting the child, can help the child process and accept the upcoming changes. Some agencies allow some contact including phone calls, emails and Skype depending on the child's age and status -some do not. We often recommend only contact with the child after the decision is made to protect the child form furthere disappointment. The entire first year with your newly adopted child may be considered the Transition Period. Having an action plan, that includes social, family, and professional support is essential. While working through the pre-adoption stage, families should ask the placing agency about their post-adoption supports. What services can they provide to help you after the readoption is complete? After many years working as an adoption professional, I have personally seen many successful re-adoptions that are great fits for the child and second family. It is the most satisfying experience to facilitate this match. It is my hope that the above information will assist prospective families who are open to parenting one of these special children.